My quest for a good styling product for my newly-cut hair lead me to the Nature Republic boutique in SM North The Block. 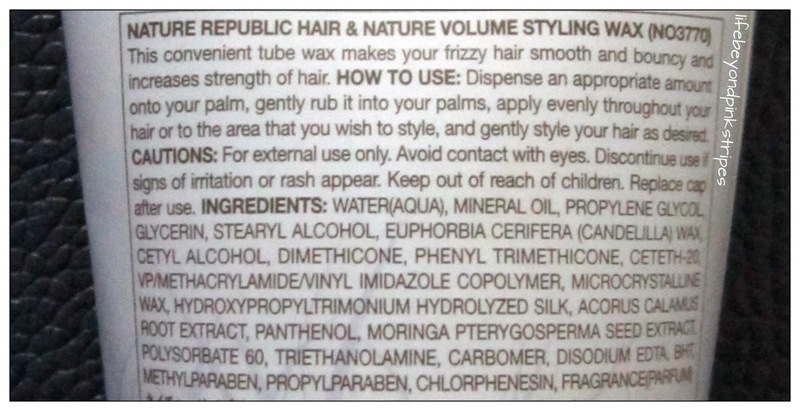 Nature Republic was formally introduced to the Philippines just recently, in 2011 if I'm not mistaken. Despite the presence of other Korean skincare and cosmetic brands that have already made their mark in the country's beauty industry, Nature Republic inevitably gained its own bevy of loyal patronizers among Pinays and Pinoys alike. The brand is endorsed by Jang Geun Suk and takes pride in products that are, as what the website says, "designed and developed according to the great nature's beauty secret". Ok, going back to my quest for a good hair styling product. :) So I found myself inside Nature Republic's boutique in SM North The Block and I was drawn to the shelf where the HAIR & NATURE Collection was displayed. 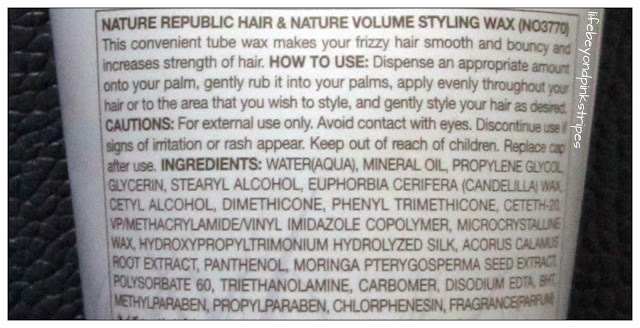 I picked up one blue tube and started reading the description printed in front and on its back. 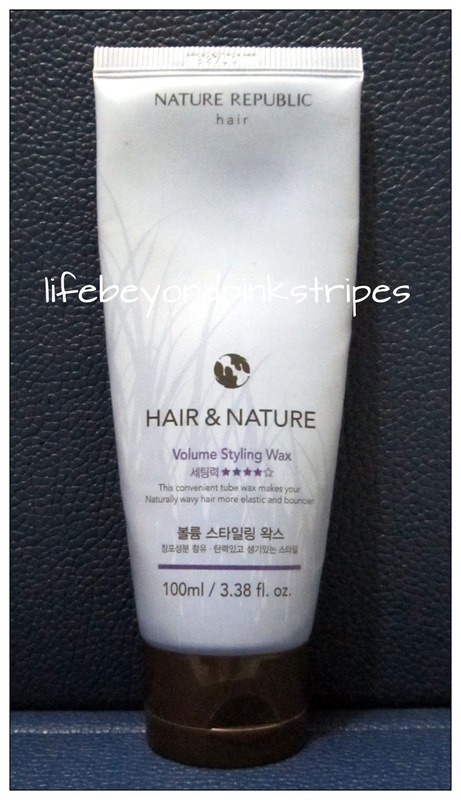 Everything's mostly in Korean though but the few words in English were convincing enough to make me purchase such product called "Volume Styling Wax". makes your naturally wavy hair more elastic and bouncier." But of course, descriptions are useless if the product don't actually work so I immediately tried the product. 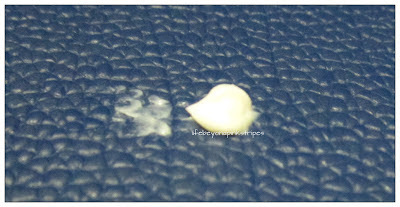 See the wax's firm consistency? My verdict? I would say that NATURE REPUBLIC's Volume Styling Wax is effective on me. This photo is a proof of it, as it was taken while I was in a not so well-ventilated eatery and I just came from a tiring day tour around Marikina City. 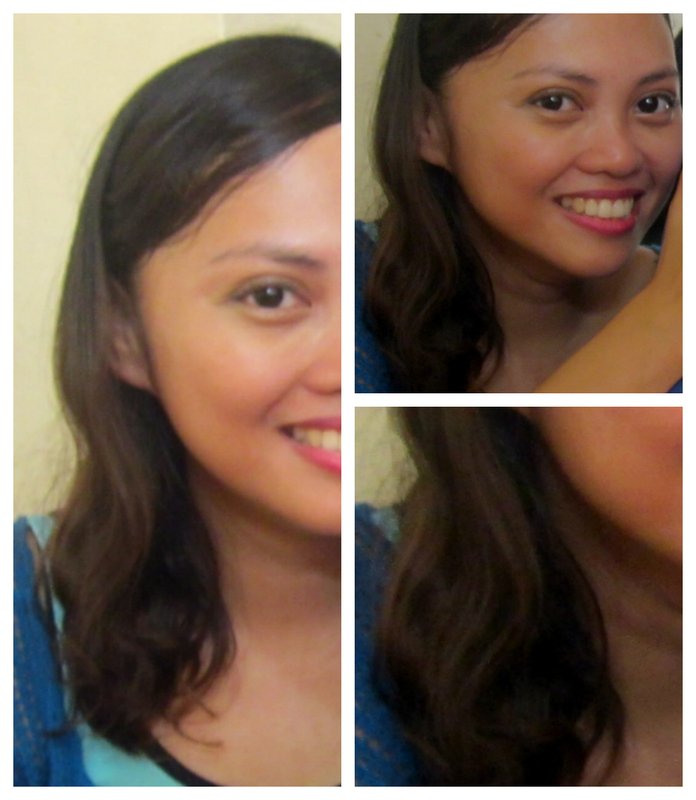 So I was sweaty, oily and sans makeup, but my usually rebellious hair? Though I haven't combed, my waves were somewhat defined and still in place, thanks to the wax I applied to it 6 hours before. they should have a website so you can browse their products and all the info needed. OMG! Jang Geun Suk is to die for! Ha ha ha! Nature Republic is sooo wise in choosing their model.